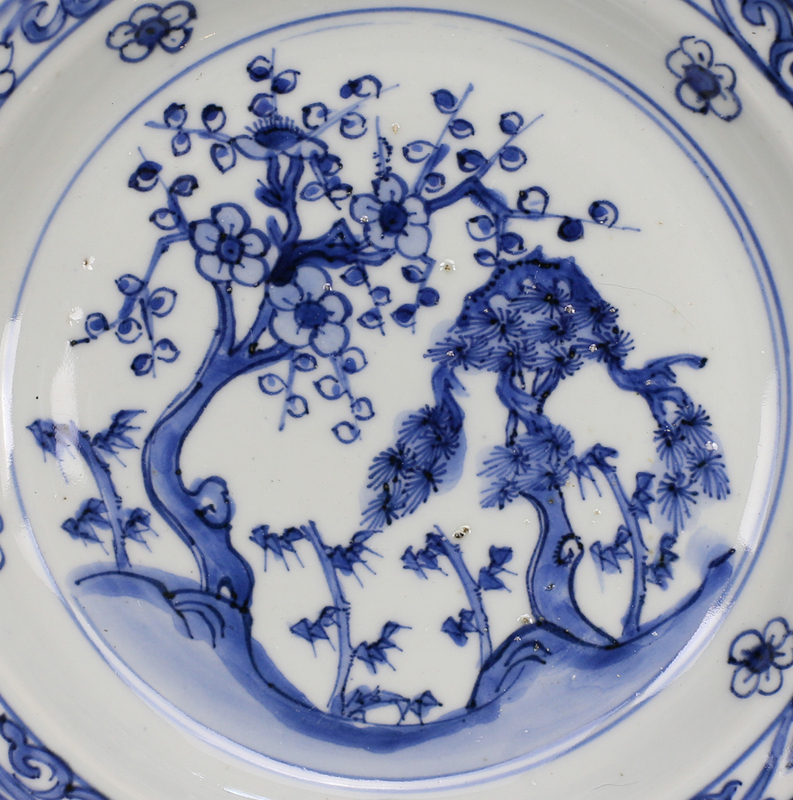 A late Ming dynasty Tianqi blue and white plate, drawn in the center field with “three friends of winter” in a rough and compelling calligraphic style. The underglaze cobalt is a deep blue, while the glaze is brilliant and shiny. In 1605, the Tianqi emperor assumed the throne as a boy of 15. Amongst other shortcomings he was illiterate and wholly under the influence of palace eunuchs. 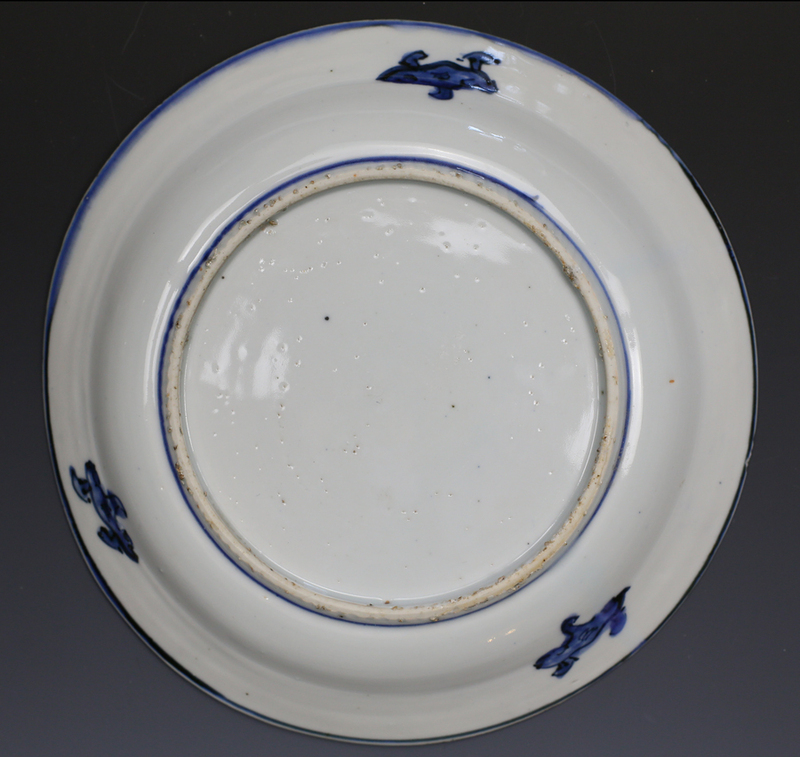 The Ming regime by this time was doomed to fail, and Jingdezhen kilns could no longer rely on imperial orders to finance its operations. 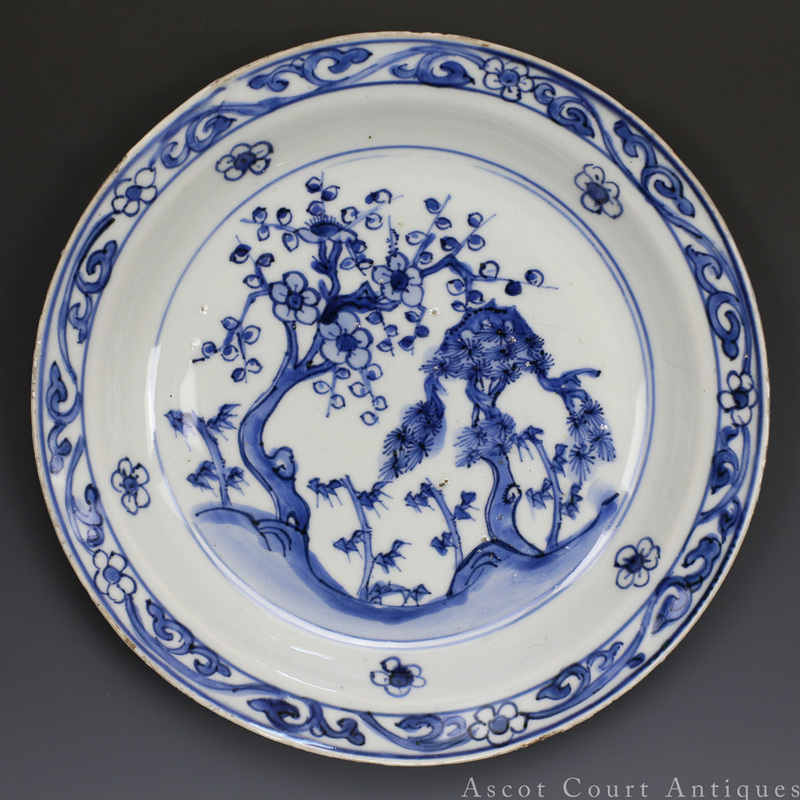 For a similar Tianqi blue and white plate illustrating the “three friends of winter”, see Chinese Ceramics: Selected Articles from Orientations 1982-1998 (Hong Kong, 1999) page 7 figure 3.